Miguel Zenón with his band, including the bassist Hans Glawischnig, the drummer Henry Cole and Obanilu Allende, in hat, who plays plena rhythms. When the jazz saxophonist and composer Miguel Zenón visits his native Puerto Rico to see his mother and other relatives every year around Christmastime, he rarely hears any jazz. Instead he’s surrounded by plena, a century-old Afro-Caribbean musical tradition, a kind of movable street-corner folksong. The composer and saxophonist Miguel Zenón. Plena is made with three different-size panderos (like tambourines without the cymbals) and voices singing about island myths and scandals, cultural identity, political reality, love and plena itself. Panderos are easily portable, as opposed to the barrel-shaped drums used in bomba, another island music. And the four-beat plena rhythm has also been part of the holiday-season ritual of parranda, which is akin to Christmas caroling: surprise late-night musical visits to the neighbors. Part of the jazz tradition is using whatever’s in front of you, and Mr. Zenón, a New Yorker since 1999, has done this before. His album “Jíbaro” (Marsalis Music), from 2005, dealt with the song form of Puerto Rican back-country troubadours, and it had a preoccupation with numbers, particularly in the décima, a 10-line stanza with specific rhyme schemes. “Jíbaro” threads Puerto Rican folklore through small-group jazz played at a high level, led by Mr. Zenón’s limpid and graceful alto saxophone sound. 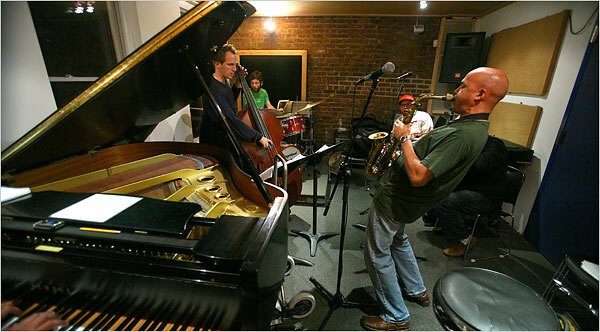 The album helped establish Mr. Zenón as one of the important contemporary revisers of Latin jazz and spread his reputation for delivering excellent music from a complicated premise, a reputation that reached the secret committees of the MacArthur Foundation, which awarded him one of its $500,000 “genius” grants in September. This year Mr. Zenón also received a Guggenheim research grant and took a long fact-finding trip back to Puerto Rico. To ask for introductions to the living plena masters, he sought out Hector (Tito) Matos, a plena practitioner who has played with the long-running New York band Los Pleneros de la 21, as well as his own group, Viento de Agua. Mr. Matos pointed him toward historians and older musicians like Modesto Cepeda and Ismael (Cocolai) Rivera so that Mr. Zenón could understand the music’s origins and functions. He learned about the subtle differences, for instance, between the San Juan-style use of the open hand on the pandero and the slower-tempo “punta de clavo” fingertip style of Mayagüez. Mr. Zenón used his research for his composition “Esta Plena,” a work in 10 parts: half instrumental, half with singing. (He wrote his own lyrics too: about the nature of plena, about an all-night New Year’s party at Mr. Matos’s house, about political corruption and the disappearance of cultural tradition.) It will be performed for the first time this week, Thursday through Sunday, at the Jazz Gallery in the South Village. The performances feature his working quartet — Mr. Zenón, the pianist Luis Perdomo, the bassist Hans Glawischnig and the drummer Henry Cole — as well as three extra musicians playing plena rhythms and singing: Mr. Matos, Juan Gutiérrez and Obanilu Allende. That the basic plena rhythm is always in four — with the biggest drum accenting the one and three, the middle one accenting the three and four, and the smallest providing improvised accents — didn’t deter Mr. Zenón. Through “Esta Plena” he has kept the four-beat percussive plena rhythm steady, while writing melodic cycles for the rest of the band in three or nine. If you think that sounds complex, you’re right. 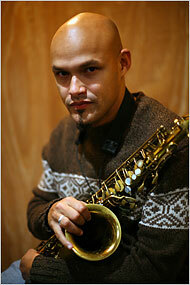 (Mr. Zenón graduated from Berklee College of Music in 1998 and had no formal math training beyond high school. Still, he has a math-and-science way of thinking.) Yet his compositions are always clear and organized, and when they’re making references to folklore, they keep the feeling of dance in them. After the shows at the Jazz Gallery Mr. Zenón will record “Esta Plena” for his next album. And — given the financial freedom of the MacArthur award — then what? He has an idea. Recently, he said, he was watching the documentary “Heima,” about how the Icelandic rock band Sigur Ros thanked the fans in its home country by playing an unusual series of free concerts: in factories, small-town community centers and even in fields and caves. Mr. Zenón said he got the urge to do something similar in Puerto Rico, particularly in small towns and mountainside areas where jazz is almost never heard. It could make a difference, he said, to play jazz of the sturdiest sort; not his own, but music by Charlie Parker or John Coltrane or Miles Davis. He might also talk to audiences about improvising, play them records, offer clinics. Miguel Zenón performs Thursday through Sunday, 9 and 10:30 p.m., at the Jazz Gallery, 290 Hudson Street, South Village, (212) 242-1063, jazzgallery.org.